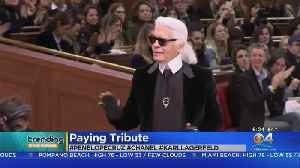 Karl Lagerfeld&apos;s last collection for Chanel opened with a minute&apos;s silence for the late designer on Tuesday (March 5), as friends, collaborators and fans turned out in Paris to remember his 35 years as the creative force behind the French couture house. Actress Penelope Cruz walked the runway at the Chanel fall and winter fashion show in Paris which paid tribute to late designer Karl Lagerfeld. 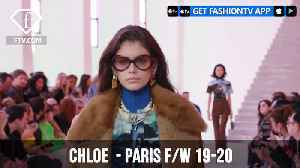 Watch to see the looks from Chanel Fall 2019 Ready-to-Wear collection at Paris Fashion Week.